Selecting your CPAP supplies is as important as buying the right CPAP machine to fit your doctor's prescription. Accomplishing both will help you adapt ​to and​ ​maintain ​your continuous positive airway pressure (CPAP) therapy to improve your sleep and benefit your health. Once you have your prescribed CPAP machine, select the appropriate CPAP supplies to complete your gear. Some supplies and accessories are essential to your CPAP equipment, while others provide comfort or convenience. After the CPAP machine, a CPAP mask or nasal pillow is your next essential decision. Your healthcare and product specialists will help you make the right choice but you may prefer one type to another. It is best to fit your mask or nasal pillow in person. You can replace them as needed when they show signs of wear and tear, or your mask leaks air. Try on a few to find the best CPAP mask that fits you comfortably but snugly with a good air seal, without putting pressure on your face or nose. Some people have trouble adapting to a mask and are more comfortable wearing nasal pillows. The device sits under your nose and carries small padded pillows that fit in and seal each nostril. As with masks, make sure you select nasal pillows for fit and comfort. Forehead spacers are gel-filled cushions that protect your forehead from headgear straps. Replace yours if the gel starts to break down. Consider buying a special CPAP bed pillow to give you better support for your mask and its accessories than a conventional pillow provides. The CPAP machine air hose is another essential supply. It brings the pressurized air from the machine to your mask or nasal pillow. The hose may be already supplied with your machine, or you may have to buy one separately. An air hose should last two to three years but replace it if there are signs of air leakage. Some CPAP machines come with a built-in humidifier while for others it is an optional add-on feature. You can purchase one separately. Companies that make the machines also make CPAP humidifiers. CPAP machinefilters: Change your CPAP machine or humidifier filter regularly to reduce airway and lung exposure to allergens and infectious agents. Travel battery pack: This makes your CPAP machine portable for travel when​ you won't​ have an AC power​ source, such as ​during camping​. DC battery adapter: This adapts your travel battery pack for an AC power source. Travel case: A travel case allows you to transport your machine when you travel. Sleep data card: A sleep data card or other recording technology allow you to analyze your sleep pattern. Based on your doctor's prescription, your respiratory therapist and other specialists will help outfit you with the right machine, mask, and initial CPAP supplies. For your first CPAP outfitting and future needs, you can buy your supplies from a medical equipment supplier or from a company that specializes in CPAP products. This depends on your insurance coverage. 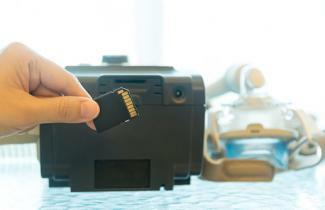 Many CPAP machine makers, such as Philips Respironics and ResMed,​ also make CPAP supplies and accessories, and several suppliers offer these products. 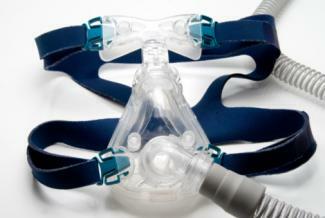 You need a doctor's prescription to buy a CPAP machine, a mask, and certain other supplies from any company. The following short list is just a sampling of the many companies that offer a wide array of CPAP supplies, accessories, and machines from several reputable manufacturers. It is best to ask your healthcare providers and insurance company for their recommendations ​of suppliers. Direct Home Medical offer discounted products and price matching, and shipping is free for orders over $99. This site is organized and user-friendly, and you can order online or by phone. CPAP (cpap.com) is a cash-only company and does not accept insurance but offers discounts and matching prices. Order supplies online or by phone or fax. CPAP-Supply will help you verify your insurance coverage. They also offer discounts, price matching, and free shipment on orders $99 and over. Order online, by phone or by fax. 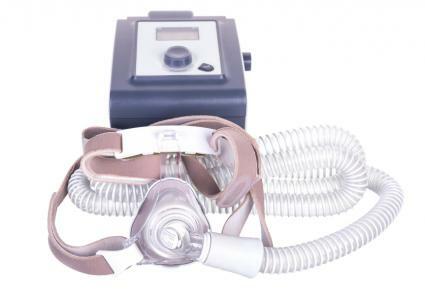 CPAP Wholesale states that they offer all new equipment directly from the manufacturers at wholesale prices. You can order online or by phone. Before you order from a supplier, it is important to check with your insurance company for approval of payment. Some suppliers offer deeper discounts to customers who have no insurance coverage. According to the National Sleep Foundation, most health insurance companies cover the cost of CPAP equipment and supplies. Known as durable medical equipment (DME), they are also covered by Medicare. Your amount of insurance coverage depends on your plan. Your insurance provider may require you to get their pre-approval and buy from their approved supplier. After a few months, they will also want proof that you are continuing to use and benefit from CPAP therapy before they will continue payment. How to get supplies for your CPAP treatment may be overwhelming when you are struggling with sleep apnea or other breathing problems. Don't ​hesitate to ask your CPAP health​care specialists ​ and suppliers for help so you can make the best choices.